We are delighted to bring onto the market as sole marketing agency and present to you this three double bedroom modern property with an attached with a self contained flat. 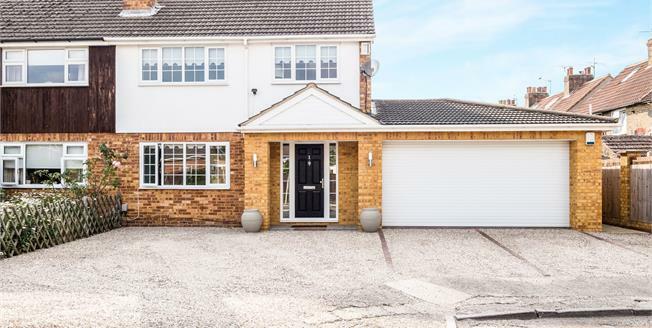 Benefits include double garage; large garden; large front drive with parking space for between 5/6 cars; modern features throughout. Recently renovated to high standards, the property is located in close proximity to local amenities, to train station and nearby leisure centre. Furthermore the attached annexe is ideal with many benefits, and potential. It comes complete with its very own separate front access; a lounge/living space; a double bedroom, separate kitchen and bathroom with the added security of being attached to the main building via the kitchen. This may suite an additional family member to have their own independence and space or the prospect of further development for a separate dwelling subject to planning approval.